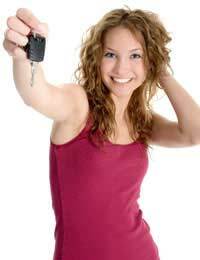 For the best chance of making sure that everything goes smoothly, look for a reputable dealer. Often family and friends can offer advice on where they have purchased a vehicle, or you can look for a trade association sign at a local dealership. If you want a list of registered dealers, contact the Retail Motor Industry Federation or the Scottish Motor Trade Association, who will happily give you the names of their members. Don't be afraid to haggle over price. Often you get the price knocked down, especially on some models. How far you haggle is up to you (and the salesman). Paying by cash might slice even more off the bill, but you can even haggle if you're buying on credit (especially if it's arranged through the dealer). You might get money knocked off if you part exchange, but you might get more if you sell your current car separately, so price up each option to find out what is best for you. When you sit down to sign the contract, make sure you're getting the final, on-the road price. That means VAT, number plates, everything. Don't sign unless you understand everything in the contract, including interest changes. Be clear on any trade-in price. If there's anything you're not sure about, ask for an explanation, and get it in writing. Don't be afraid to say you want time to think. If you're not sure the deal is good, you can always walk away. How much do I have to pay now upfront? Does that include a maintenance and servicing plan? What "extras" are included (eg electric windows / mp3 connector / metallic paint)? At the end of the contract, will the car be mine? If not, are there any conditions on its return (eg max number of miles)? New cars are covered by The Consumer Rights Act 2015 (which replaced The Sale of Goods Act 1979). That means they must be "as described", "of satisfactory quality", and "fit for the purpose". Be in full working order and not damaged when purchased. Meet any purpose specifically explained to the retailer and agreed before purchase (eg good suspension for going up and down country roads). Match the description given at the time of purchase. "I went to collect my brand new car but on inspection the paint work was scratched. I pointed this out to the dealer and walked away without the car. They wanted to polish the whole car at the body shop but I told them I did not want the car anymore. Not sure where I stand as I never drove it away and pointed the errors out right away ." If the car is unfit for purpose, faulty, or not as described, you have the right to return it and receive a full refund within 30 days of the date of purchase. Also if you ordered a car for delivery and have not received it within 30 days of the date of purchase (or by any later date agreed), you have the right to cancel your order and receive a full refund. If a fault is discovered within the first 6 months from delivery, it is presumed to have been there from the time of delivery. It is for the retailer (car dealer) to prove that this was not the case. If it has been over 30 days since you purchased the car, you will likely have to allow the retailer the opportunity to try to repair it if any issues arise (replacing the car being disproportionate to the cost of most repairs). "My husband bought a brand new car. Less than 5 months later it was leaking in on the front passenger foot well. We returned it to the dealer who had it for approx 4 weeks, they said they had replaced the seals and we took it home. A few weeks later it was leaking in the back passenger foot well. It went back to the dealer who said that they had replaced the back seals. Another month on and the front foot well is full of water again. Can we refuse for the car to be fixed again and ask for a refund or replacement?" If the retailer can't repair the car, or have tried to repair it and the fault still exists, you will be entitled to return the product and receive a refund. However a reasonable deduction may be made by the retailer to reflect your use of the vehicle in the preceding months. "I bought a new Honda HR-V and after only 600 miles on the clock, when parked on a incline, I got out of the vehicle after applying electronic handbrake. After waking away for about 20 - 30 meters, the car started rolling away and crashed into another car causing damage to both cars. Honda have said no fault was found after a couple of days investigation. I have no confidence in the car anymore. What are my options?" If it is more than 6 months since you purchased the car, you must prove that the product was faulty at the time of purchase. You would likely need an expert mechanic or engineer's report to prove this. "I purchased a new MG3.It has leaked through the driver's window since new and the acceleration is rubbish. The garage have had the vehicle several times for repair and now do not respond to my telephone calls to rectify the problems I have. Do I have any recourse with them please?" Contact the Society of Motor Manufacturers and Traders. It will, with both parties agreement, act as an arbitrator and decide the dispute. Refer the matter to Trading Standards and take legal advice (both the RAC and the AA offer legal advice to their members). Note that if you go to court, you'll need a solicitor which can be costly, though often if you win, your costs will also be recoverable from the other side. The new Consumer Rights Act 2015 has been designed to simplify the position and help those purchasing products to hold retailers to account. However as you will have seen above, you have far greater rights straight after purchase than several months later, so it is important that you fully check over your car immediately after delivery / collection and notify the retailer of any issues as soon as possible. I purchased a brand new BMW M4 CS from a local dealership. I paid an external company to ceramic coat the car in the showroom. They found damage to the front bumper, rear bumper: a chip to the drivers door and swirls all over the car. The dealer is saying they can use a local company to repair the damage but I’m worried about their ability to match the 3 pack pearlescent paint. Can I legally force the dealer to replace the vehicle with another one that’s exactly the same and that hasn’t been treated so badly and damaged. For a £95k car, I don’t want it to have been resprayed as I intend keeping this car in perfect condition. Thank you. I’ve just found out that my jaguar is being recalled as the published emissions are significantly higher that advertised in real world tests. I find it completely unacceptable that JLR have allowed this to happen, particularly following the Vw saga. The car is less than a year old and is on a personal lease. My last car was a vw with the emissions cheat software! JLR have offered to rectify the issue but this misses the point that I have been driving it for a year spewing out an unquantified amount of co2 etc. I would like to understand if they have breached the lease agreement and what my rights might be regarding early termination without penalty. Hi I bought a New car from BMW £65k, On arrival of picking the car up the sales person dint show me round the car and also seemed in a rush to get rid of me. On first glance the car looked OK but was in a shady area. When i arrived home the same day i noticed a few scratches and some panels and also some dint's on the drivers door, i notified the dealer straight away they have advised that i had ample time to look over the car and therefore they will not do anything about it. As a new car worth over 65k i have asked to return the vehicle which they are refusing to do, do i have the right to ask them to take the car back ? and if so under what act or cooling of period? I purchased a new car 68 plate earlier this month collecting this on the 9th October from a franchise dealer.I got a great deal through the manufactures own scrappage scheme so making the purchase less than if I had paid cash only or part ex'd.On collecting the car and driving off the forecourt I had a warning on the dash that some of the safety systems were disabled due to a fault with the front facing camera.I contacted the dealership advising them of the issue and they recommended that I take the car home (as they were closing) and return the car to them later.I called in at the dealership on the following Sunday, the 14th, for investigation.Whilst there they started the car and immediately a warning appeared advising that there was an 'emissions failure' and the MIL light illuminated. They took the car out and couldn't get it to go above about 20mph. My car was left with them and I left in a courtesy car.I received a call on the 17th advising that the emissions problem was fixed but they were waiting for a replacement front facing camera.I arranged therefore to collect the car on the afternoon of the 19th allowing them to perform the repair correctly.On the morning that I was due to collect I received a call from the service manager advising that the 'emissions failure' fault had returned.Their head office advised them to replace a number of parts however availability of some of the parts is unknown and will take a minimum of a week to arrive maybe longer (I am awaiting their update).They have had the car for over a week and I expect that it will take them at least another week to complete the repair.Am I within my rights to reject the car under my 'short term rights' and would I receive anything for the scrapped car that formed part of the discount or only the invoiced value, noting that should I wish to go elsewhere I now have nothing to scrap or trade in. I bought a brand new Nissan in March 2017. Jan 2018 I took it back to the dealership as the floors were soaking wet. The inside was taken apart, a hole was found in the wheel arch, the car was dried out and put back together again. At the time I complained directly to nissan and they did not seem interested but gave me an extra years warranty to get me to go away. I wasn’t happy with this but I was getting no where. Oct 2018, the floor is soaking again. Car taken back to the dealership and it has had to be sent off to the bodyshop to see why it is leaking again. I have told the dealership I do not want the car back. I paid a lot of money for a brand new car and it has leaked twice! Do I have any rights to ask for a refund or a new car? I purchased a new Mercedes taking delivery in March 2018. The car was delivered to my home address, I was shown round the car, from the visual walk around all seemed well (but I did not get down on the floor and inspect the underside of the car) I signed the delivered note.Now 4 months later I received a letter from a solicitor seeking insurance details for the vehicle, as its was involved in an accident the day prior to the cars delivery to me. After seeking details of the accident, I have inspected the underside of the car in the area of the suggested impact and find evidence of damage on the underside of the rear of the car consistent with the alleged accident.I am less them impressed that I am now fielding solicitors letters and letters from the Motor Insurers Bureau seeking to identify the driver and insurers at the time of the accident. More importantly I am concerned that I have been delivered a brand new £50k car that has been damaged.The dealership claims not to have been made aware of any accident, as they use a 3rd party delivery agent and have not been advised of an incident. The car is on a PCP deal with Mercedes Financial Service.I feel conned that I have been delivered a brand new luxury car, that has been damaged and they only way I find this out is through a solicitors letter seeking to claim for damaged / injuries to a 3rd party.What are my option, can I reject / return the car? I purchased a new Mercedes taking delivery in March 2018. The car was delivered to my home address, I was shown round the car, from the visual walk around all seemed well (but i did not get down on the floor and inspect the underside of the car) I signed the delivered note. Now 4 months later i received a letter from a solicitor seeking insurance details for the vehicle, as its was involved in an accident the day prior to the cars delivery to me. After seeking details of the accident, I have inspected the underside of the car in the area of the suggested impact and find evidence of damage on the underside of the rear of the car consistent with the alleged accident. I am less them impressed that I am now fielding solicitors letters and letters from the Motor Insurers Bureau seeking to identify the driver and insurers at the time of the accident. More importantly I am concerned that I have been delivered a brand new £50k car that has been damaged. The dealership claims not to have been made aware of any accident, as they use a 3rd party delivery agent and have not been advised of an incident. The car is on a PCP deal with Mercedes Financial Service. I feel conned that I have been delivered a brand new luxury car, that has been damaged and they only way I find this out is through a solicitors letter seeking to claim for damaged / injuries to a 3rd party. What are my option, can I reject / return the car? On Friday (today is Sunday) I purchased a brand new car from a large dealership.I put my existing car in part exchange.I drove the car the three miles home from the dealership, the clock now has seven miles on it.Other than driving it home I didn't have the time to familiarise myself with everything the day before yesterday, so yesterday I sat in the car on the drive and started the engine.The service light was on permanently and a message saying 'engine fault have vehicle repaired' appeared on the screen.I rang the dealer this morning and they are sending someone to collect it for repair tomorrow morning (Monday). I have spoken to a couple of friends today who are of the view that I shouldn't even go there but should return the car and ask for my money back as it is likely that it always have problems.I purchased the car with a part exchange (my previous car was in excellent condition with less than 4,000 miles on the clock), now thinking I have made a big mistake.Can you please advise how I stand legally in view of the part-exchange.Many thanks. My father-in-law purchased a new car recently, he paid a deposit plus had a £2,000 scrappage exchange and paid the remainder in full which was almost £11,000. The car was delivered to his home whilst he was on holiday, but unfortunately he passed away before coming home. The car is obviously not needed, or fit for the purpose it was purchased for and yet the dealership have not offered to take it back, but have offered only £8,000 ti buy it back. What are our rights? The retailer is not obliged to take the car back in these circumstances. It might be easier to sell it as part of your father in law's estate. Hi, I bought a brand new car in January 2018 for just under £70k. After a week of ownership I noticed paint flaking from the N/S side skirt where the panel meets the rear wing. It was sent back to the dealership bodyshop for repair. They resprayed a small area so that the whole side of the car didn't need respraying. Needless to say it is fairly noticeable if you were looking for it but "was the best they could do without repainting the whole side of the car". Having hardly used the car (just over 1000 miles in 5 months) I just recently noticed in the sun that the N/S/R wing has marks in the base coat of the paint as if it was painted with a large brush! I took the car back to the dealer bodyshop and they did a paint thickness test on the whole car. It seems that my brand new car was repainted on theN/S rear wing and N/S door before delivery. He said that the whole side of the car needs to be painted now due to the paint type. Added to that the stereo/sat nav unit has an intermittent fault where it keeps shutting down for 5 mins then restarting on its own! Do you think I'm entitled to a refund? I've now had enough and am within my 6 months for rejection. Hi I filled the paper work for new car through Toyotaand they said they will give me the special no plate which next day they just sent a e mail saying this no plate is allocated . I have signed the orde form and finance agreement and have not picked the car yet . Now I called them that I do not want to go ahead with this after 5 days of agreement . But dealer is saying that I am legally bound to go ahead with this . I do not know where I stand . I bought a new Honda CRV in Jan 2017. During my discussions with the Honda Salesman I made it clear that I was retired, 90% of my driving was in town and that I drove less than 5000 miles a year.I bought a diesel engined vehicle in the belief that it was more efficient and cost less in road tax.I now have Diesel Particulate Filter problems which persist despite repeated "corrective" actions by the garage.I would like to know what my consumer protection rights are inas much that I should have been sold a petrol car rather than diesel because of my driving profile. I bought a new Honda CRV in Jan 2017. During my discussions with the Honda Salesman I made it clear that I was retired, 90% of my driving was in town and that I drove less than 5000 miles a year. I bought a diesel engined vehicle in the belief that it was more efficient and cost less in road tax. I now have Diesel Particulate Filter problems which persist despite repeated "corrective" actions by the garage. I would like to know what my consumer protection rights are inas much that I should have been sold a petrol car rather than diesel because of my driving profile. You may need to negotiate a fee with the dealer if the problem is a result of the product you had fitted post-purchase (and we assume was not fitted by the dealer). Hello. I bought a car from a dealership in 2014 (it was a year old) and have always been happy with it. However, it always seemed damp during rainy weather and after a heavy downpour whilst travelling long distances, the car was filled with water on the passenger side, both front and back, if I placed my hand on the floor, it was completely covered with water. I have just taken it back to the dealership's repair shop, as rust was spotted on the door too and to see what was causing the problem. They have informed me that the near side back door is not the original panel, it wasn't fitted correctly and that it is faulty, which is why water has been coming into the car. I was never informed of this at purchase and they have evidence on their records showing this to be true. They've accepted responsibility and are drying my car out and repairing the damage. However, what if there is damage to the interior of the car, particularly the floor, caused as a result of the water, now or in the near future. Are they responsible for sorting that out too at their cost? I'm worried that further work is going to be needed. After more than 3 years, this is something you'd have to negotiate directly with the dealer, or failing that the courts. At this stage it's not a straightforward consumer rights issue that we can give direct answer to. Hello. I bought a car from a dealership in 2014 (it was a year old) and have always been happy with it. However, it always seemed damp during rainy weather and after a heavy downpour whilst travelling long distances, the car was filled with water on the passenger side, both front and back, if I placed my hand on the floor, it was completely covered with water.I have just taken it back to the dealership's repair shop, as rust was spotted on the door too and to see what was causing the problem. They have informed me that the near side back door is not the original panel, it wasn't fitted correctly and that it is faulty, which is why water has been coming into the car. I was never informed of this at purchase and they have evidence on their records showing this to be true.They've accepted responsibility and are drying my car out and repairing the damage. However, what if there is damage to the interior of the car, particularly the floor, caused as a result of the water, now or in the near future.Are they responsible for sorting that out too at their cost? I'm worried that further work is going to be needed. Hi. Bought a newcar. Car went in 2 weeks later to dealer for an upgrade. Whilst at the dealer it got covered in a paint spray. The dealer sent the car for a detail.. then when collecting the car the retailers had scratched the car and also caused swirls to the paint. What are my rights. The car is less than 4 wks old. Can i return the car. Or swap the car. I picked up my new 17 reg car up in May 2017.After contacting the Dealer in November I was told "not sure who to speak to". so finally when I spoke to the Manager and complained I was being put through different departments the car went back to the dealer in December. the roof was corrected over a period of two days and claimed off the warranty. The dealer insisted that I picked the car up on the second day later that afternoon. I told the dealer that I would pick the car up the following morning as I would not be able to inspect the work carried out on the car. I got told no as they needed the courtesy car back that afternoon.Picked car up that afternoon. all seemed o.k when I checked that morning. however I have now picked up another part were the paint on the roof is coming away. I really would now like to take back the car and get a refund. It's unlikely you'll be able to take the car back for a full refund. If it's over 6 months since purchase, it's up to the buyer to prove the fault was there at the time of purchase etc. Please see the article above for more information on what steps to take next. Hi I have owned a brand new Range Rover evoque since march 2016. So far it has had to have a turbo replaced, a complete new exhaust system, a new differential, a new cat system. It has had multiple call outs for Land Rover assist in addition. What is my option as I am fed up of having to return the car for repairs, missing meetings and rearranging my schedules? I have placed an order for a new car ( shipping from Germany) on the basis of a delivery by end of November - this is stated on the Deposit Receipt, but is the only place written confirmation is detailed . I have completed a New Vehicle Order form and this has been countersigned. I have email correspondance signifying the car is late and this has not been disputed. I have now been told the car is delayed and there is no estimate as to when the car will arrive. What are my rights if I choose to cancel ? You could try asking for compensation for the delay. An accidentally broken and replaced windscreen is probably not sufficient grounds for rejecting the vehicle under the Consumer Rights Act. You could ask the dealer to keep the car until January. The registration plate will still say 67 - but the documentaion will say first registered 1st Jan 2018, date of manufacture Dec 2017. It's up to you really. My mum bought a pre-registered brand new Toyota in August. The dealer told her they had mislaid the documentation relating to registering the car but would look for it, register the car in my mum's name and she would receive the registration document in the post. After 3 months of waiting and numerous calls and emails, it transpires they had registered the car to someone else who had a pulled out of the sale then sold it to my mum.They have said the have repeatedly asked the first keeper to return the documents but she hasn't done so. They dealership are now denying a pre-registered brand new car means registered to the dealer but can be registered to anyone. They have been very unhelpful. How do we proceed?